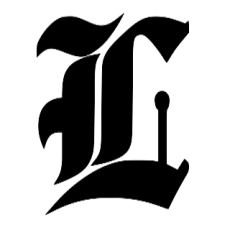 The Filibuster: Should Minority Party Play Obstructionist Role In Senate? There was a great and interesting discussion on the Senate filibuster on today’s Up with Chris Hayes. Yes, I did just say talk of the filibuster was both great and interesting. The pro-filibuster wing of the “Up” panel argues that the Senate gets to make its own rules, and this fact is in enshrined in the constitution. Even if it seems un-democratic to require a super-majority to pass a bill, it is within the rights of the Senate body to require such a threshold. The idea of the filibuster is to allow the minority a voice, not allowing the majority to steamroll a bill through the Senate without debate. This works well if the minority shows restraint, as it had (Republican or Democratic) through much of the history of the filibuster, which by the way, is not as old as the Senate itself. But we have mountains of evidence and statistics that show us that the minority party in the Senate has increasingly used the filibuster as a tool of obstruction. It’s not being used to give voice to the minority, it’s being used to silence the majority. And I have to push back on the idea that the minority party needs a voice in the first place. As Chris Hayes pointed out, comparing the minority party in the senate to individual human beings who are part of a minority religion, race, culture is a fool’s errand. Human beings need protection from tyranny of the majority, the minority party in the senate does not. This is what elections are for. Of course I recognize that if Republicans were the majority in the Senate, I might be whistling a different tune. That’s why I’m not calling for the end of the filibuster. Instead, I support the current efforts by Democratic Senators to reform the filibuster at the beginning of the new Senate session in January. A senator can no longer filibuster a motion to get a bill to the floor of the Senate. I don’t know how anybody could argue against this. If the filibuster’s purpose is to allow the minority party a voice and open debate, how is that accomplished if a senator blocks a bill from being debated? A senator can no longer filibuster a bill heading to conference committee. This means the bill has already passed the Senate and now there needs to be a conference to reconcile the bill passed in the Senate with the bill passed in the House (because many times there are differences). Again, how does anybody argue with this? The bill has already passed the Senate. There’s no reason to filibuster the bill after it has already passed. The “talking filibuster.” A senator who wants to filibuster must come to the floor and make his/her views known. A filibuster can no longer be done in silence. It’s not clear to me if this requires the senator to remain on the floor through the duration of the filibuster (if the majority doesn’t back down), but regardless, this is a no-brainer as well. Again, if the filibuster’s purpose is to allow the minority a voice and to open debate, then senators should not be allowed a silent filibuster. The pro-filibuster wing of the Up with Chris Hayes panel argues that it’s a dangerous, slippery-slope precedent to have a simple 51-vote majority change the Senate filibuster rules. But I disagree, because that’s how the filibuster rules got there in the first place. 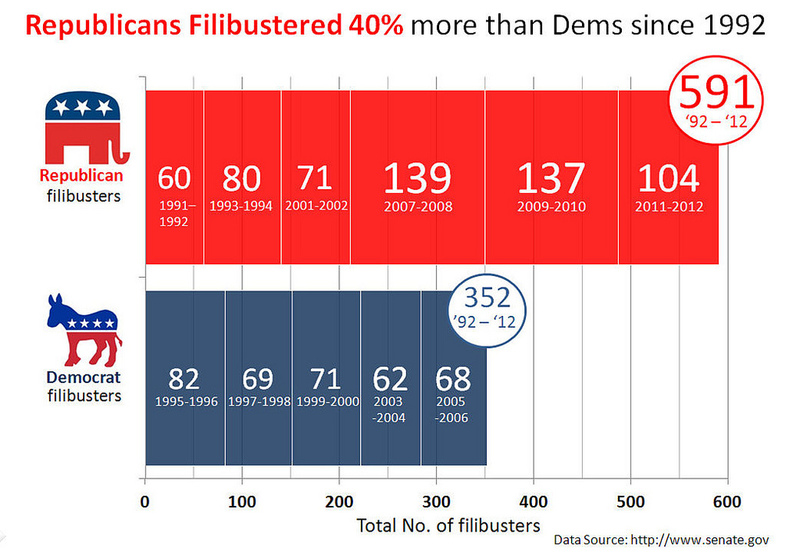 As I said earlier, the filibuster is not as old as the Senate. It’s also ridiculous in a democracy to think that rules can never be altered. Therefore I see no reason to oppose the proposed filibuster rule changes.